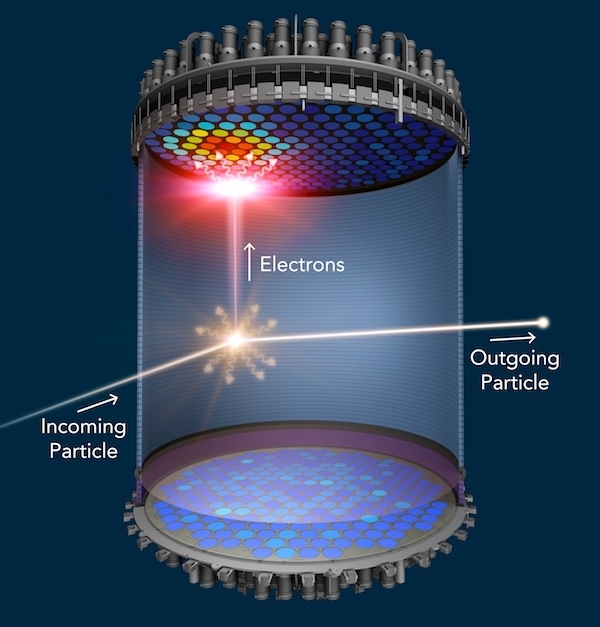 Researchers have come a step closer to building one of the world's best dark matter detectors: The U.S. Department of Energy (DOE) recently signed off on the conceptual design of the proposed LUX-ZEPLIN (LZ) experiment and gave the green light for the procurement of some of its components. 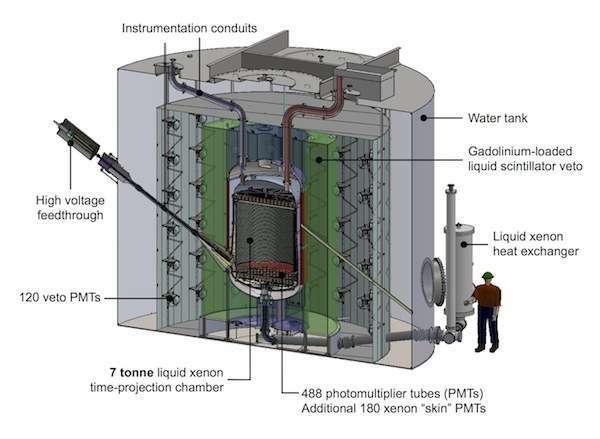 DOE's SLAC National Accelerator Laboratory, a key member of the LZ collaboration, is setting up a test stand for the detector prototype and a facility to purify liquid xenon, which will be the detector's "eye" for dark matter. 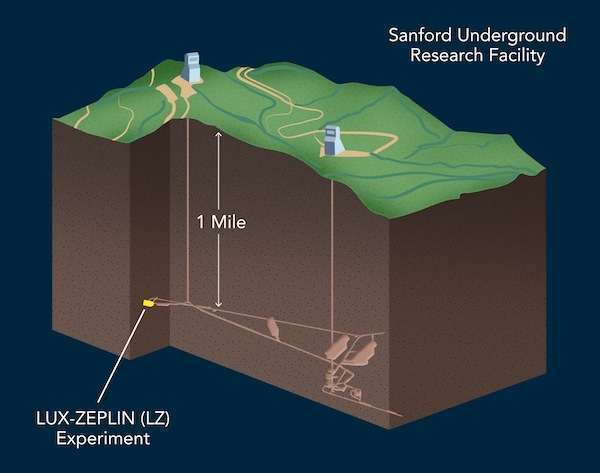 If everything goes according to plan, LZ will be installed one mile underground in a cavern of the former Homestake gold mine in South Dakota. It promises to become the most sensitive tool for the direct detection of WIMPs – weakly interacting massive particles – that many researchers believe to be the fundamental components of dark matter. LZ will replace LUX, a dark matter experiment that holds the current record for looking for WIMPs of most possible masses. "The positive DOE review is fabulous news," says Tom Abel, director of the Kavli Institute for Particle Astrophysics and Cosmology (KIPAC), a joint institute of SLAC and Stanford University that hosts SLAC's LZ team. "We look forward to contributing to this cutting-edge detector, which will help us constrain the properties that dark matter might have." The nature of invisible dark matter, which accounts for 85 percent of all matter in the universe, is one of physics' biggest unsolved mysteries. Most researchers believe that dark matter is composed of particles, and the hypothesized WIMPs are potential candidates. WIMPs would almost never "talk" to mundane matter, which could explain why they so far have eluded detection. "One billion WIMPs might go right through us every second without interacting with the atoms in our body," says Thomas Shutt, one of SLAC's LZ team leaders and founding spokesperson of the project. Shutt is also co-founder of the current LUX experiment. "Yet, our hypothesis is that they may still interact occasionally with regular matter." If WIMPs exist, LZ scientists hope to see a few of them in their detector per year. The experiment's centerpiece will be a large container filled with 10 metric tons of ultra-pure liquid xenon. When particles traverse the detector and collide with xenon atoms, the xenon atoms emit a flash of light. The struck xenon atom also releases electrons, which, in turn, generates a second flash of light. If all other possible origins have been ruled out, two consecutive light flashes could represent a characteristic WIMP signature. "LUX, which uses the same detection method, hasn't seen any WIMPs yet," says Daniel Akerib, who leads SLAC's LZ team jointly with Shutt. "However, LZ will be a few hundred times more sensitive." Since WIMP collisions with xenon atoms are so rare, researchers need to take great care that other processes will not mask the sought-after signals. In addition to being located deep underground, where it is protected from charged particles hitting Earth from space, the xenon vessel will be embedded in several layers of shielding and detectors that will help suppress unwanted background signals from gamma rays emitted by radioactive substances in the cavern walls and by the detector materials themselves. Not all particles can be blocked, though. "These include neutrons that come off the detector walls due to radioactive processes and neutrinos produced in the sun's nuclear fusion reactions, which can traverse matter just like WIMPs," Akerib says. "Fortunately, these particles have different signatures." Nevertheless, certain cosmic neutrinos are expected to trigger WIMP-like signals – an unavoidable background that ultimately limits the detector's sensitivity. The LZ collaboration, which is managed by Lawrence Berkeley National Laboratory, involves scientists and engineers from 29 institutions worldwide. "SLAC has a large footprint in the project," Shutt says. "We have begun to set up a test platform for all kinds of system tests. 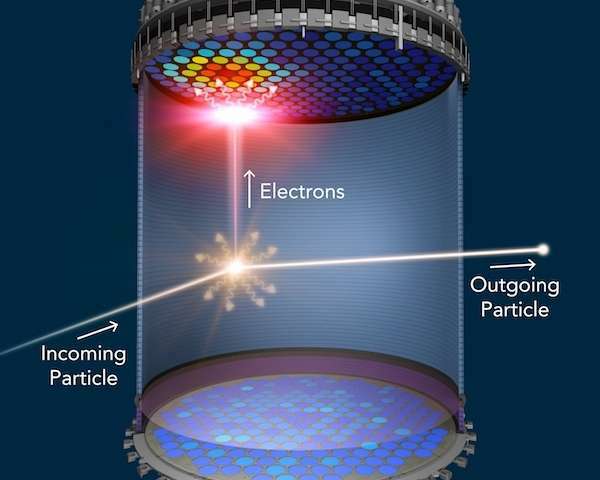 We'll also design parts of the inner detector, and we are in charge of xenon purification." Ultra-pure xenon is an absolute requirement for the detection of subtle WIMP signals, and SLAC is working on two purification systems. The first one is a purification tower that will be attached to the LZ detector to continuously remove impurities coming off the walls of the xenon vessel during the experiment. The second system is a plant that will purify xenon before it is used in the experiment. 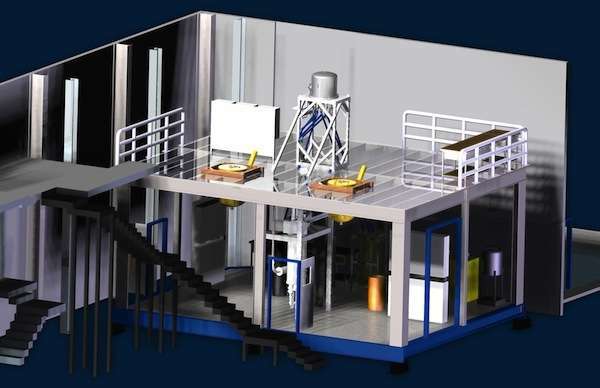 SLAC will also assemble a detector prototype, and its test platform will benefit the entire collaboration. "Groups from everywhere will have the chance to test out their equipment," Akerib says. "SLAC is the location where the collaboration will come together." Tests will be performed over the next three years. The results will help researchers finalize the experiment's design. They will also come in handy when it is time for the next DOE review, expected for March 2016.